I’m constantly looking for new images of Bryce to share and spread along the world wide web. When I found this one I immediately wanted to share it. Pictures that utilize the different lights that fall upon Bryce are fantastic. It’s not hard to get a sunset shot from one of the many lookouts in Bryce; it’s much harder to get one that shows deep shadows and glowing hoodoos. That’s why I liked this image so much. 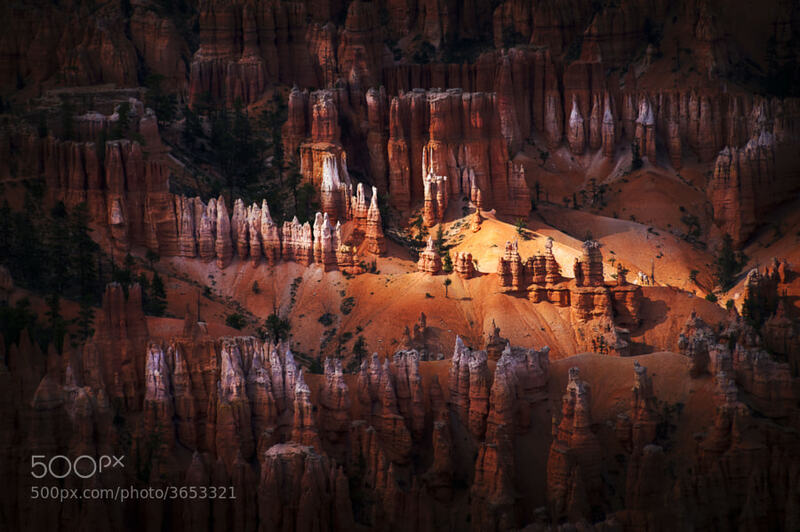 It was very well done and again showcases what it is about Bryce Canyon I love so much.